Even though car detailing is two centuries old, the traditional methods can’t fly in the modern fast-paced world. For instance, the modern professional hardly has the time to visit their car detailing provider. Thankfully, technology has simplified the process: through the “dial-a-delivery” business model, the car detailing provider will come right where you are. This is often the entry package for most car detailing companies. The specific services differ with each service provider. For example, some will wash your rims as part of the package while some won’t. Others will dress your tires and wipe down your car’s interior while others will consider this as part of the next packages. Ideally, a basic car wash entails a complete exterior cleaning and drying, tire dressing, windows cleaning, rim wash, interior vacuum and wipe down. Read More: What Equipment Do You Need To Detail A Car? The specific services vary but the job basically entails a thorough cleaning of the interior of your ride. This includes things like carpets, floor mats, dress plastic, and seating surfaces. A complete interior detailing involves seat shampooing, steam cleaning of the surfaces, mold removal, a thorough wipe down, leather seat conditioning and so much more. Once the job is done, you will feel the difference as you drive around. If you love to see your vehicle having a shiny, flawless look, this is the package you should go for. Services are geared toward giving your ride an intricate care on the outside. First, your car will be washed thoroughly. This is often achieved through a combination of a pressure washer and soap or going the waterless way. The latter is a bit pricey but highly efficient. 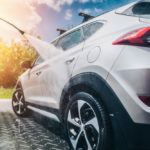 The vehicle will not need drying after the wash. Other services include a clay bar treatment to get rid of contaminants before a full car wax is set in motion. Waxing will increase the longevity of your ride besides restoring the condition of its bodywork. Read More: Why You Need to Replace Your Old RV Inverter? As expected, this combines exterior and interior car detailing. Again, companies have different ways of doing this. An average package would include all aforementioned services and extra ones like water spots removal, pet hair cleaning, tree sap removal, engine cleaning, and headlight restoration. Besides a complete car detail, some service providers include an extra package with additional services. These include things like paint care, window tinting, and application of a paint sealant to extend the shelf life of the car. Granted, these services will cost you more but your car will be fully restored and transformed for the better. Mobile car detailing is not a reserve for the high and mighty. Depending on your preferred service provider, some of the services above cost as cheap as 50 bucks. Feel free to order a mobile detailing service today and give your ride the love and attention it deserves!